You've heard the phrase: “You are what you eat.” It would be more accurate to say: “You are what you eat, digest and absorb.” Nutrition is essential to healing, and if our digestion is impaired, not only do we become malnourished, but improperly digested food can trigger autoimmune symptoms as proteins enter our bloodstream through “leaky gut” walls. If we are going to put a lot of effort into a healing diet, we certainly want to get the most benefit for those efforts. That means we need to pay as much attention to how we eat, as what we eat. 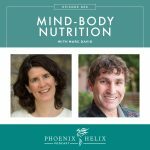 My friend Mary is a nutritional therapist, and she says “Digestion begins in the brain.” We've all felt the gut-brain connection. Emotions often translate into feelings of “butterflies” or “bowling balls” in our stomachs. And many of us have felt the connection the other direction: where what we eat affects our mood and mental wellbeing. This is now firmly established in the scientific literature under the term gut-brain axis. It's not our imagination. These two parts of our bodies are intimately connected. So, how can we harness this connection for our digestive health? It's simple really. We need to slow down and pay attention when we eat. No more eating in the car, eating in front of the TV, or eating while using our smartphones. No more “eating for speed” where we realize once the plate is empty that we have no memory of actually tasting the food. Eating mindfully isn't just more enjoyable, it actually helps us digest our food better. They did a study comparing the effect of relaxation and stress on digestive enzymes, compared to the effect of chewing our food. You would think chewing would be more important, right? It breaks down the food, stimulates saliva, and releases the first digestive enzyme (amylase) in our mouths. We learned that in biology in high school. Well, apparently relaxation stimulates this process even more. This isn't a directive to stop chewing your food. But it does demonstrate that we are meant to eat our food in a relaxed state. There's a scientific reason for this. Our bodies have two main nervous systems that govern organ function: sympathetic and parasympathetic. Sympathetic is our “fight or flight” nervous system, where our bodies' resources are directed to immediate survival. Parasympathetic activates when we relax, and one of its main functions is digestion. Is it any wonder so many people have digestive troubles in this age of chronic stress? 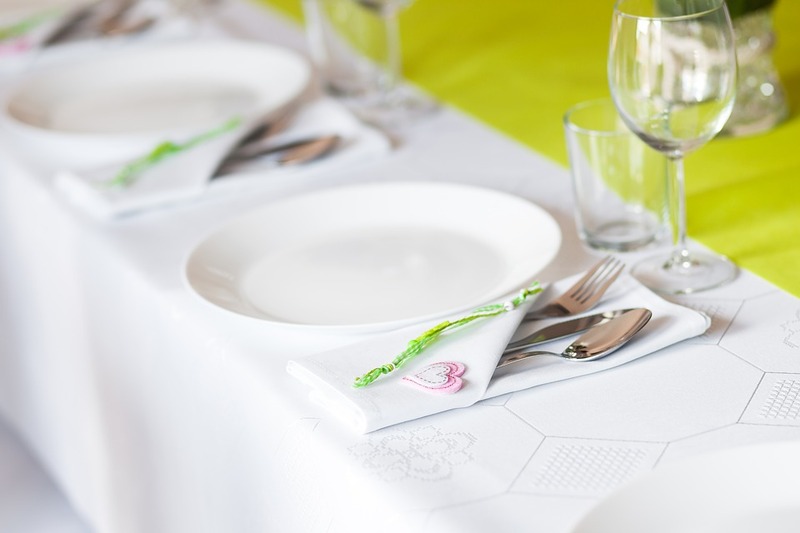 So, take time to relax as you eat, and activate the nervous system that supports your digestion. In this modern era where people suffer from heartburn and think Tums is a necessary component to every meal, it's no surprise that we think we have too much stomach acid. Actually, the opposite is true. 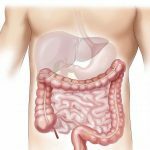 Mickey from Autoimmune Wellness wrote a great article explaining how this works, but the quick summary is this: We need stomach acid to digest our food, and when we don't have enough, our stomach doesn't let the food go into the small intestine to continue digestion. Instead, it holds onto it, which can cause it to putrefy instead and push up on the esophageal sphincter (causing heartburn). In fact, stomach acid is like a lead domino, setting off the release of all the digestive enzymes we need to break down and absorb the nutrients in our small intestine as well. Apple Cider Vinegar: 1 Tbsp. apple cider vinegar in about 4 ounces of room temperature water. Lemon Juice: Squeeze 1/2 lemon into a small glass of room temperature water. Acidic Fermented Beverages: A small glass of kombucha or beet kvass. Ginger: Either chew on a piece of raw ginger, or make a small cup of fresh ginger tea. Look at your posture when you eat. Are you slouched in a chair, hunched over the table? If so, you're compressing your digestive organs. That makes it hard for them to do their job. Instead, take a deep relaxing breath, and sit up straight. I noticed an immediate improvement in my digestion when I started paying attention to my posture. Ancestrally, we're meant to move. Hunter-gatherers walk an average of 6 miles daily across widely varying terrain. American's tend to sit…in office chairs, kitchen chairs, couches, and Lazy-Boys. While it's beneficial to sit still while we eat (and hunter-gatherers do just that), going for a short walk afterward helps us digest our meal. Walking also has other benefits: it stabilizes blood sugar, lowers blood pressure, increases good cholesterol, increases bone density, decreases stress, alleviates depression, increases focus, and improves circulation and posture (helping us with mistake #3!). That said, I realize some people's autoimmune symptoms interfere with exercise. There was a time when I couldn't walk, because rheumatoid arthritis caused extreme foot pain. Work within your abilities to move as much as you can. If that's limited right now, support your digestion in other ways, and keep this in mind for the future. An important part of digestion is something called “cleansing waves“. After we've eaten a meal and our body has digested it, our digestive tract contracts and moves any “missed” food through, so that it's primed and ready to digest the next meal that comes along. If you're a grazer and eat small amounts of food pretty steadily throughout the day, there's never a time for these cleansing waves to happen. 3 large meals daily is ideal. If you have enough protein, fat and starch at those meals, they should keep you satiated for 4-5 hours. Exceptions to this rule: Some people are healing adrenal fatigue and need to do mini meals every 2-3 hours to keep their blood sugar stabilized. This is also true for pregnant women. As you heal (or after you deliver your baby), and your blood sugar begins to stabilize, extend the time between meals until you reach 3 meals daily. 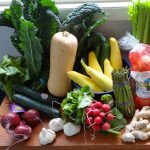 Can I Do the Paleo AIP as a Vegetarian? 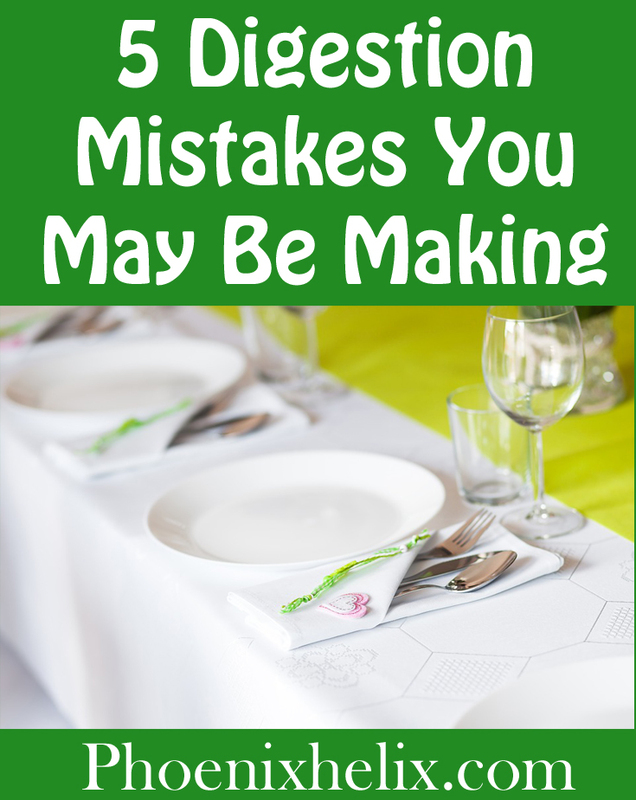 A version of this post originally appeared as a guest post for Autoimmune Wellness. Photo credit: Public Domain image from Pixabay.